When talking about electrical accessories at home, it’s easy to interchange some of the common items that we see. Such is the case of the power strip and the extension cord, which are two distinct things. In this article, we will look into the difference between a power strip and an extension cord, and the right choice for your intended purpose. As its name implies, a power strip is composed of a series of electrical sockets with a cable and electrical plug at its end. This device is designed to accommodate and power up multiple electrical devices that are in close proximity to each other, say the devices inside an entertainment room. Some power strips come with a circuit breaker as a precautionary measure in case a short circuit or power overload happens. In some modern designs, power strips may have an automatic shut-off feature when the device or appliance remains unused for a number of hours. Based on its name alone, you can already predict what this electrical accessory does. An extension cord is a long electrical cable with at least one socket on one end and an electrical plug on the other. It is designed to extend a power outlet to a distant electrical device or appliance. Extension cords come in a variety of forms, depending on the use. Some are only 2 feet long, while others run 30 feet or longer. If you want to multiply the number of electrical outlets from a single source, use a power strip. If you want to stretch out a power source towards a distant appliance, use an extension cord. Power strip: Entertainment rack with multiple audio and video devices, computer setup with printer and router, permanent installation of multiple sockets. 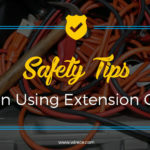 Extension cord: Appliances far away from an electrical outlet, temporary electrical setup, extension of power to occasional outdoor appliances. 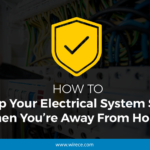 Whether you use a power strip or extension cord, make sure that safety is at the top of your priority. Never overload a power strip with so many appliances, and don’t make an extension cord permanent. 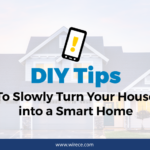 In addition, by knowing the original purpose of each tool, you can maximize the use of either the power strip or the extension cord.